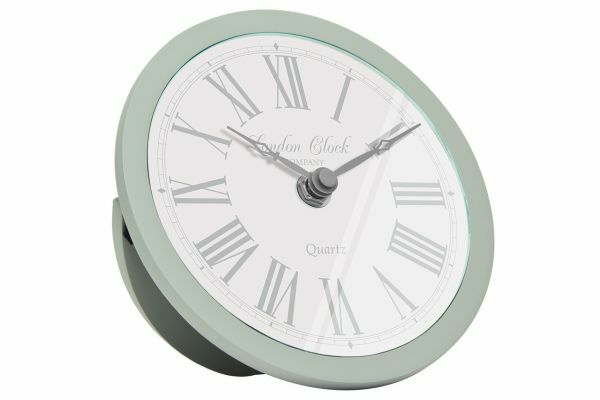 A beautiful sage green glass cased mantel with a stunning white Roman dial. Has bold grey numerals and hands. Made by the British brand London Clock Co and is a part of the 1922 range.